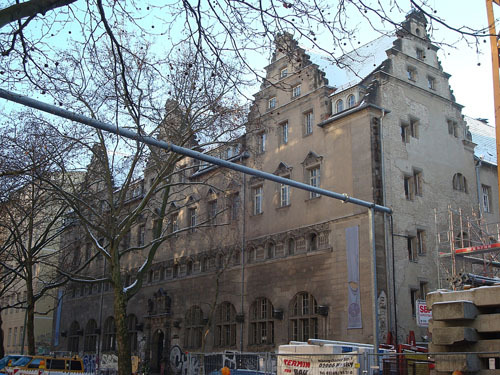 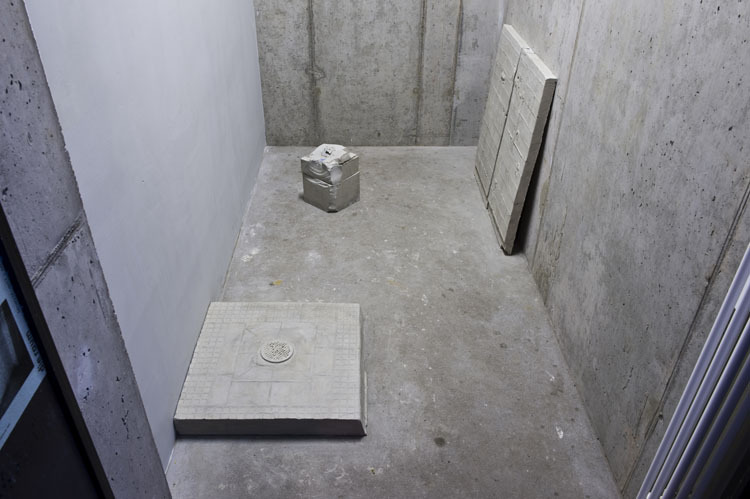 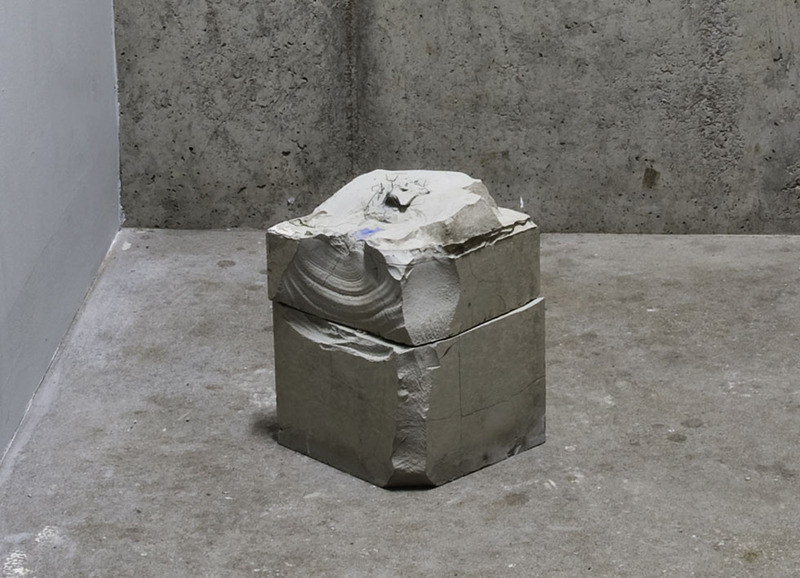 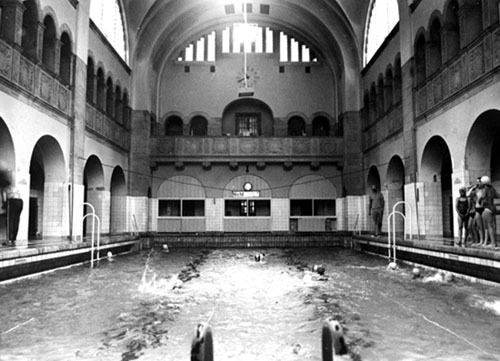 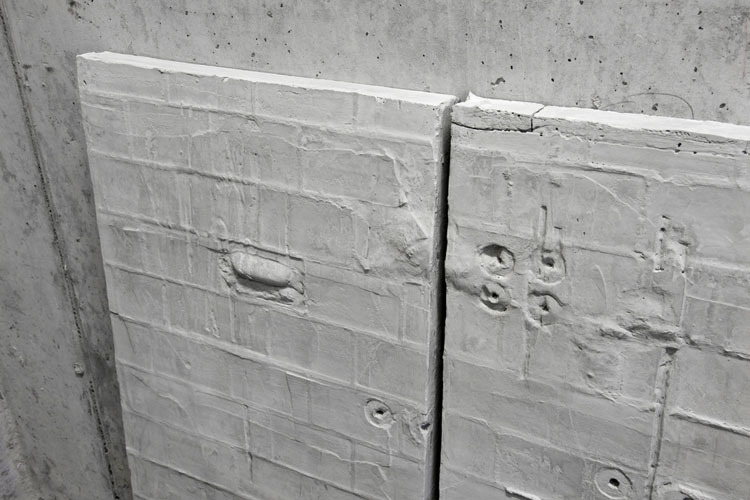 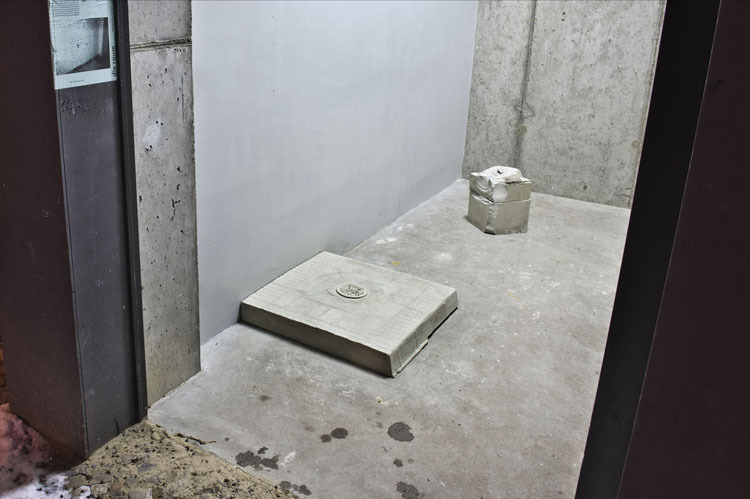 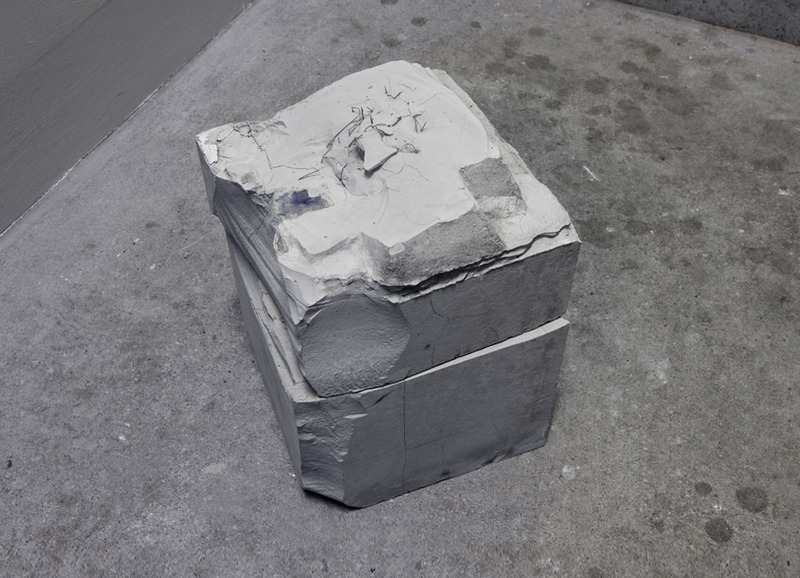 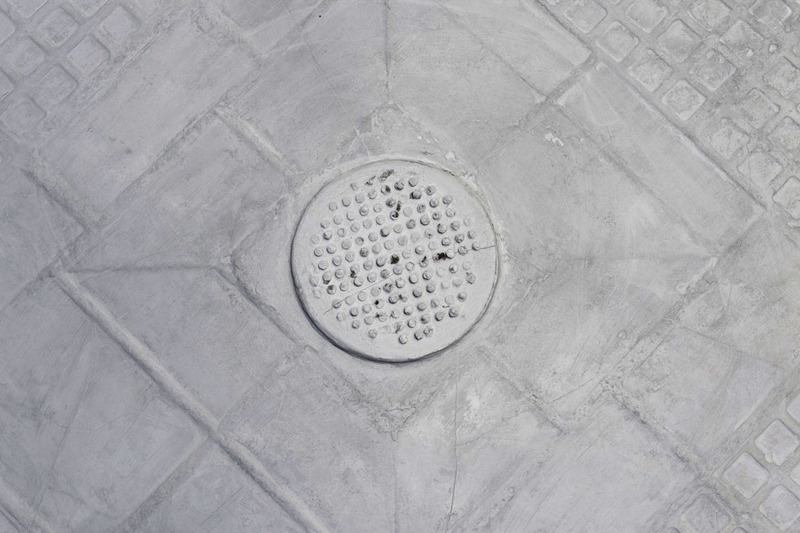 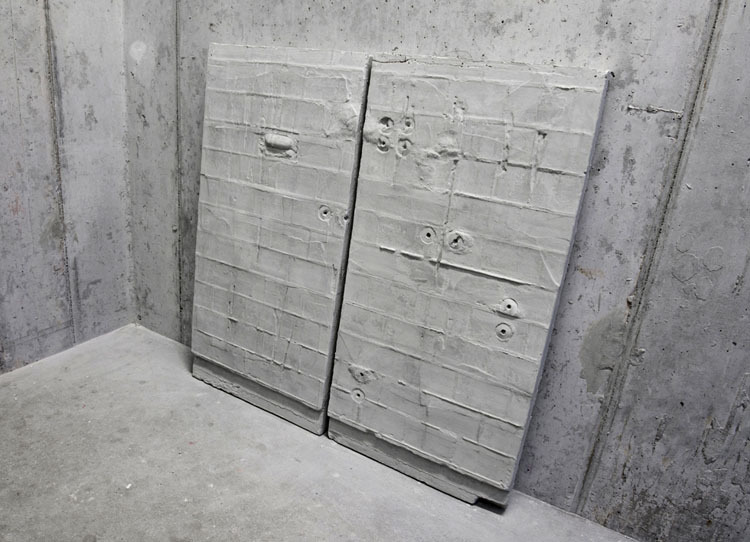 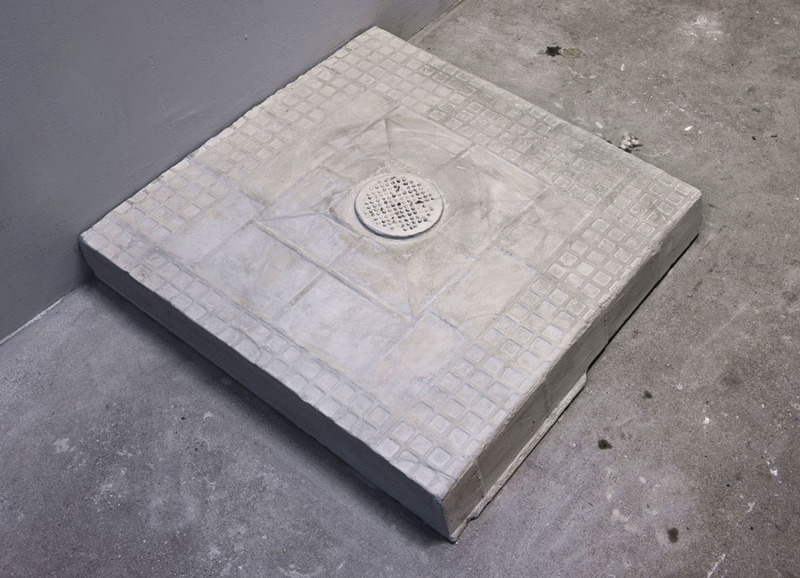 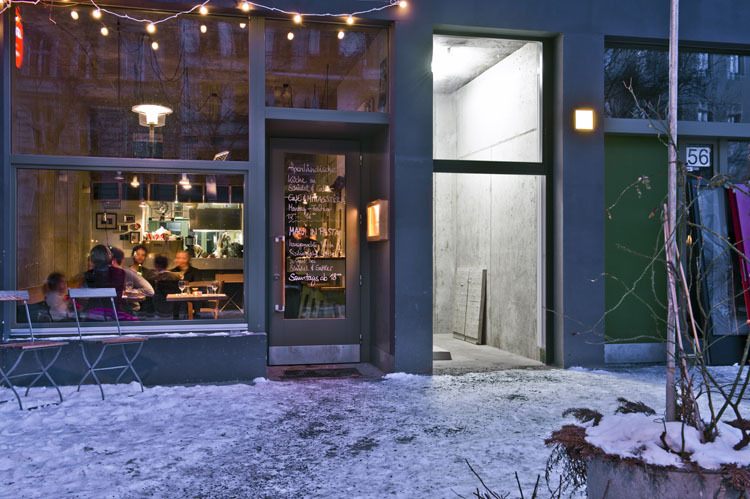 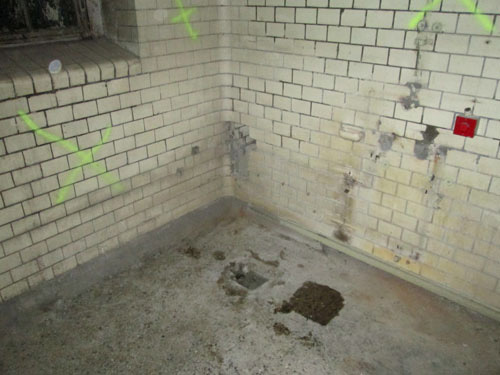 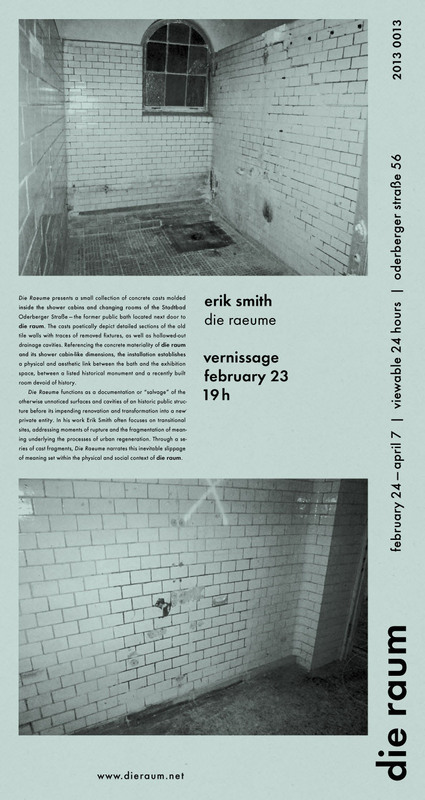 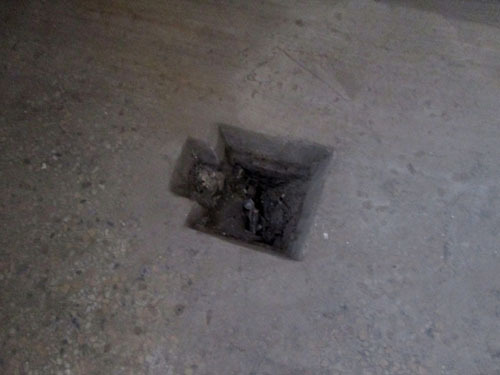 Die Raeume presents a collection of concrete casts molded inside the shower cabins and changing rooms of the Stadtbad Oderberger Straße, the former public bath located next door to die raum. 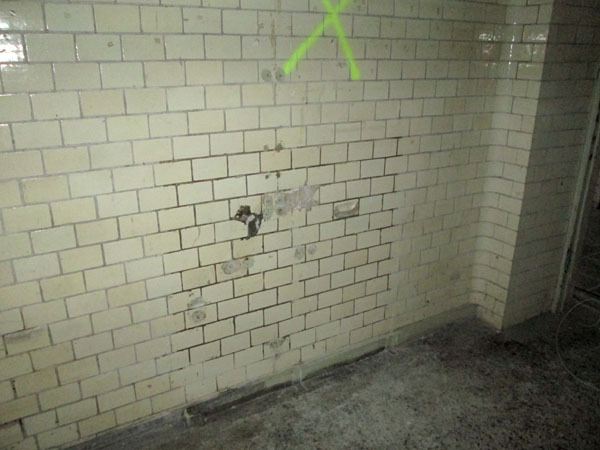 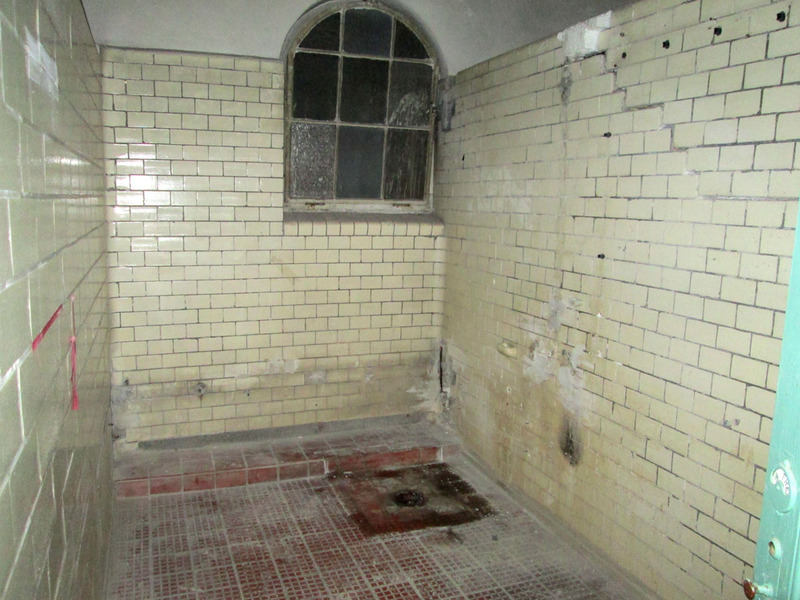 The casts depict detailed sections of the old tile walls with traces of removed fixtures, as well as hollowed-out drainage cavities. 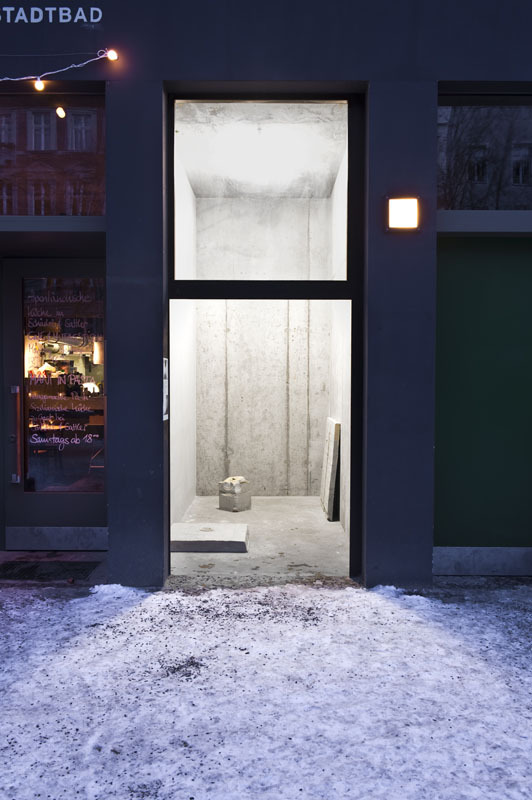 Referencing the concrete materiality of die raum and its shower cabin-like dimensions, the installation establishes a physical and aesthetic link between the bath and the exhibition space, between a listed historical monument and a recently built room devoid of history.